This cover was carried on the Ava some 7 months before the ship was lost off the coast of Ceylon in February 1858. 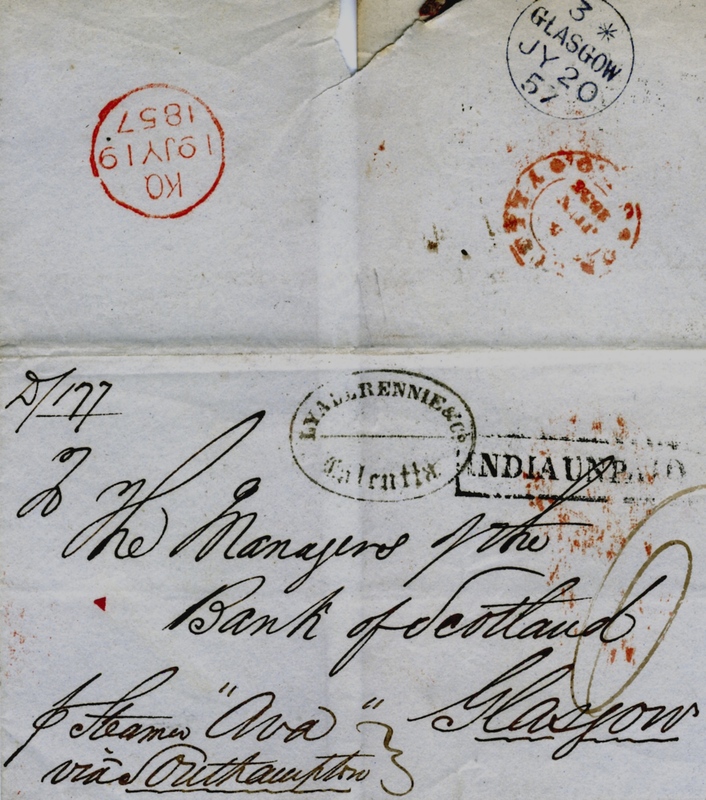 The letter was posted at Calcutta on the 5 June 1857, receiving a boxed “INDIA UNPAID” mark. The cover was endorsed “Per Steamer “Ava” via Southampton” and on reaching England was put into the post to London receiving a fine red circular arrival mark dated 19 JY 1857 and a manuscript ‘6’ for the postal charge to be paid on delivery. Another fine strike was applied in Glasgow the following day. This cover clearly had an uneventful journey on the Ava, unlike other mail aboard the Ava.